Since it is the season, we’re giving it up for the Cran Man for the next couple of weeks. As everyone knows, cranberries are delicious. Especially when they are jellied or sauced. Despite this established fact, when I started to think about it, I realized I’ve done very little baking with them. Which, is sort of a slap on the forehead considering the little ruby orbs of tartness are filled with tons of pectin making them ideal for filling things. And I can’t forget to mention just how strangely satisfying it is to combine them with a little water, sugar, heat and hear them quietly pop and squeak as they cook. 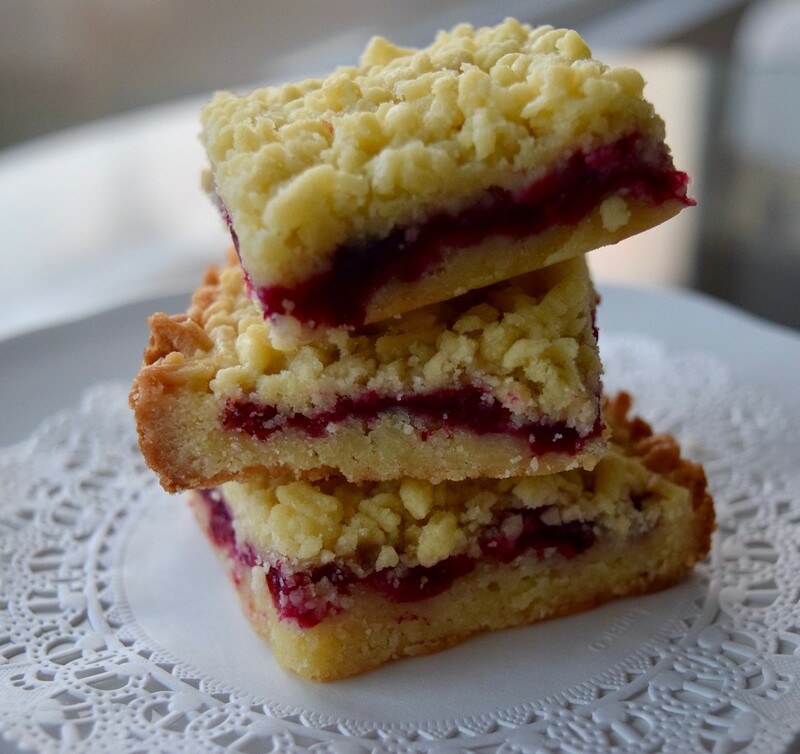 These bars are a take on the more traditional raspberry or apricot bars with an interesting twist on preparing the shortbread. Like some short breads, the dough is combined until it just comes together. Then it goes into the freezer for at least an hour. While the dough freezes, you bust out the food processor and affix the shredding tool. The frozen dough is then fed through the processor so that the result is basically dough confetti. If you can get past the part where it really does look like something that belongs on a taco, this hack is brilliant. 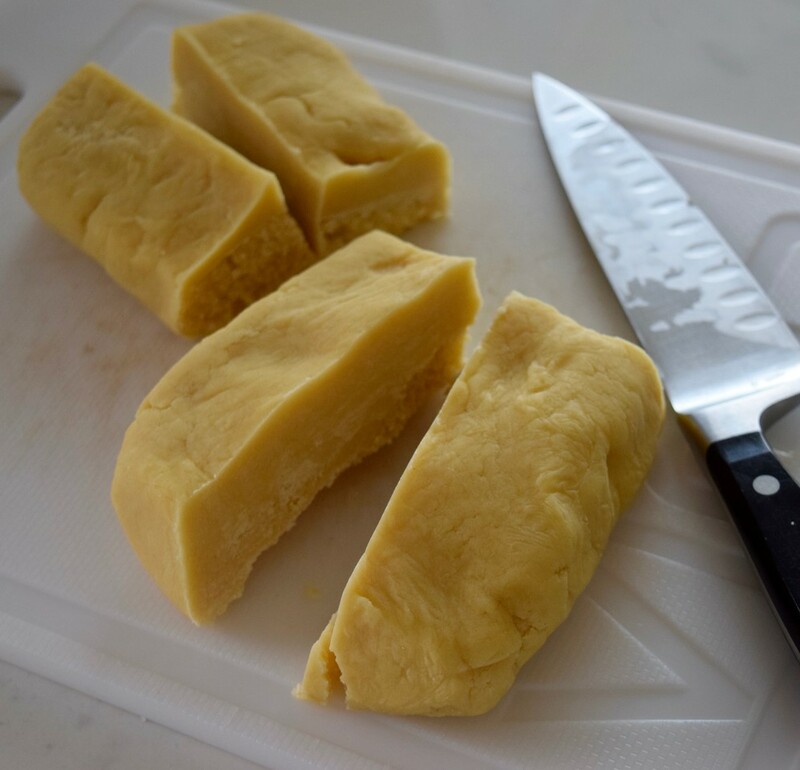 By shredding the dough rather than rolling, it remains tender, crumbly and of course, buttery. 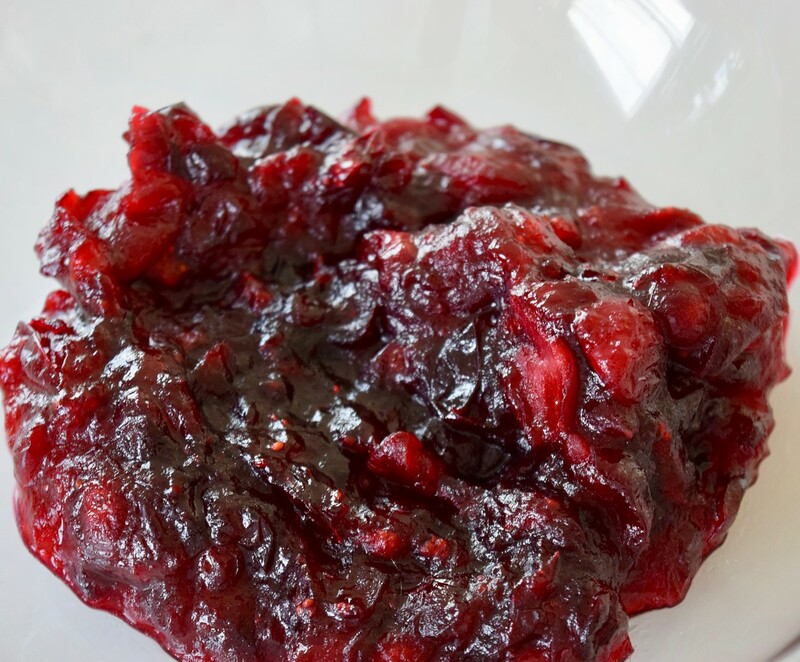 Once the base is pressed into the pan, it is topped with a generous slathering of cranberry sauce. The whole shebang is then finished with the other half of the dough shreds. The result is delightful. And festive. And exactly what we all need. 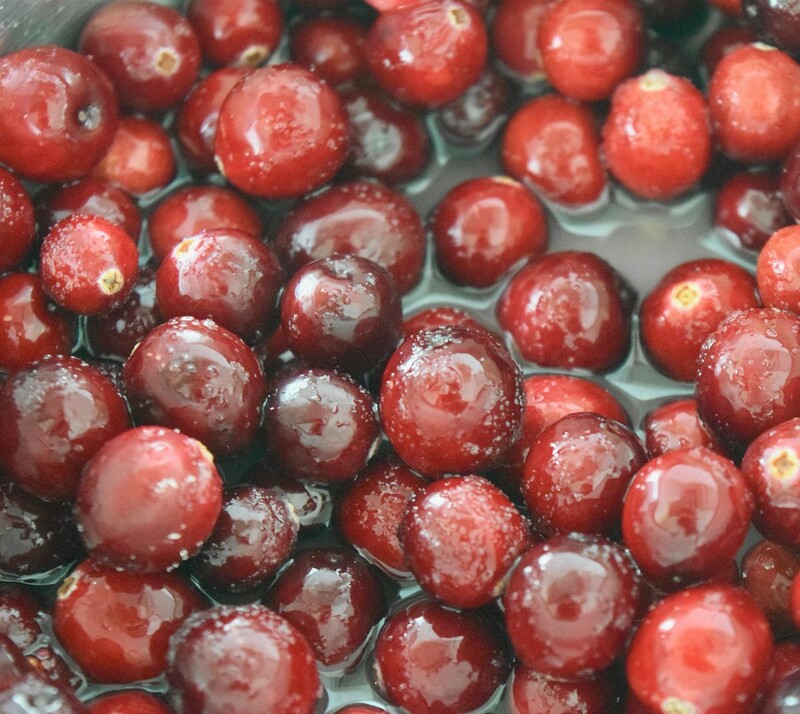 Bring cranberries, water, and 1/4 cup of the sugar to a boil in a small saucepan over medium-high. Cook, stirring and smashing berries occasionally, until mixture thickens, 10 to 12 minutes. Remove from heat, and cool completely. 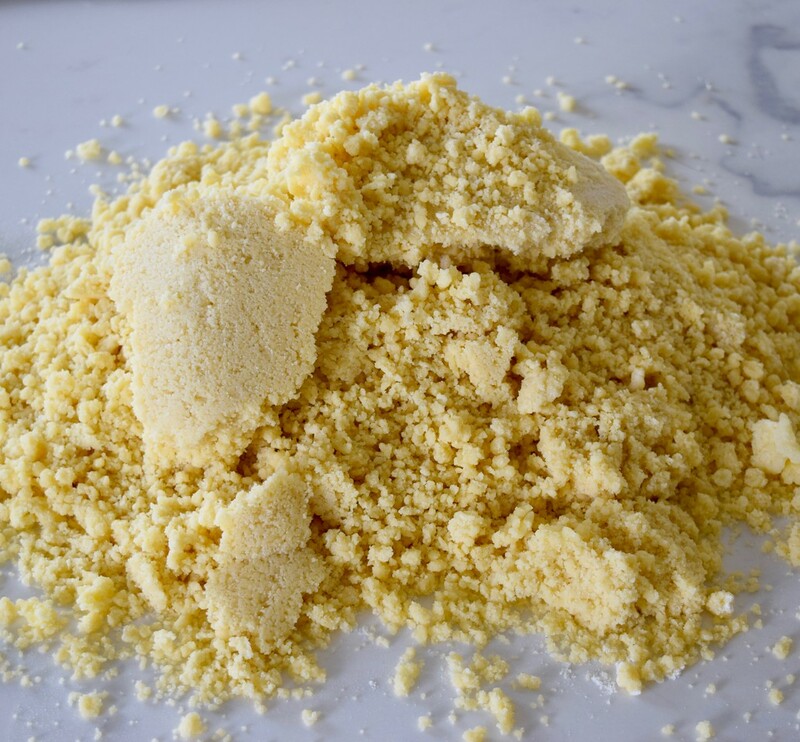 Beat butter, salt, and remaining 3/4 cup sugar in a large bowl with an electric mixer on medium speed until light and fluffy, 3 to 5 minutes. Add egg yolks and vanilla; beat on low speed until combined. Add flour to butter mixture; beat on low speed until combined. Turn dough out onto a lightly floured work surface; knead until dough comes together, 3 to 4 times. Shape into a 14-inch-long log. Cover with plastic wrap, and freeze at least 1 hour or overnight. Preheat oven to 350°F. Line a 9-inch square baking pan with parchment paper, allowing paper to extend past edges of pan. Grease paper. Remove plastic wrap from dough log; cut in half crosswise, and cut each piece in half lengthwise. Feed dough log quarters through the chute of a food processor fitted with a shredding blade. 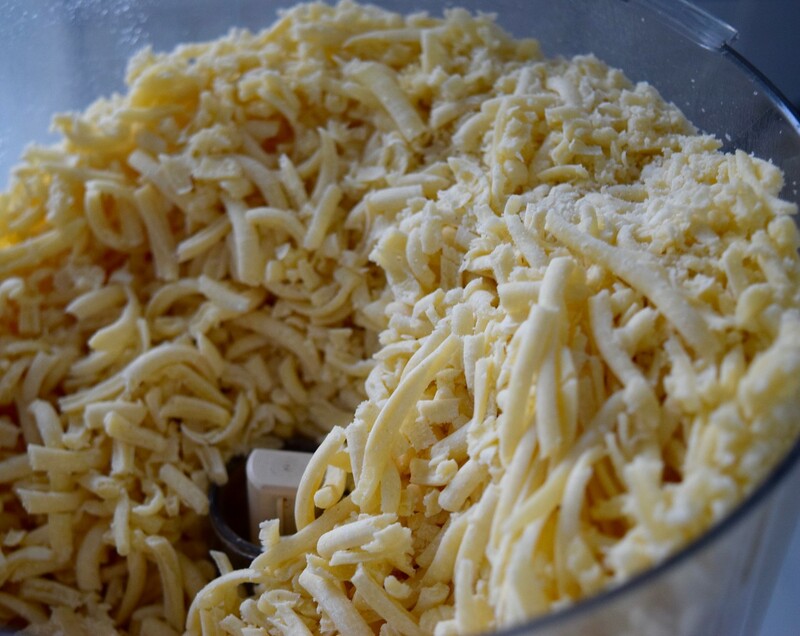 Press half of grated dough into the bottom of prepared pan. Spread cranberry mixture over 1 dough, leaving a 1/2-inch border. 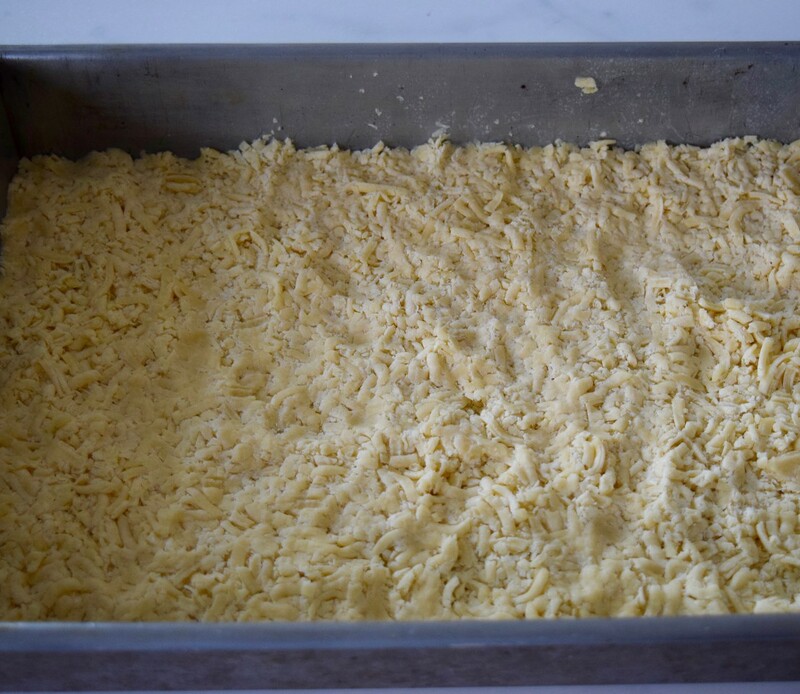 Top with remaining half of grated dough, pressing to seal edges. Bake in preheated oven until firm and golden brown, 33 to 35 minutes. Cool in pan. Lift cranberry shortbread from pan using parchment as handles; cut into rectangles; then cut into triangles.